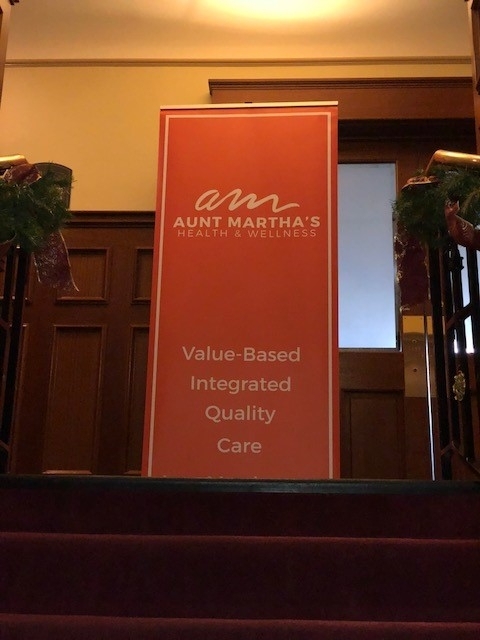 December 5, 2018—Aunt Martha’s Health & Wellness hosted a half-day symposium, State of the U.S Health Care System, to preview its developing approach to Integrated Health Homes at the Carleton Hotel in Oak Park. Over 100 guests including elected officials, prominent health organizations, social service organizations, and Aunt Martha’s staff participated in the program that entailed presentations by Aunt Martha’s President and CEO Raul Garza, Chief Operating Officer Audrey Pennington, and Chief Medical Officer Dr. Charles Barron. 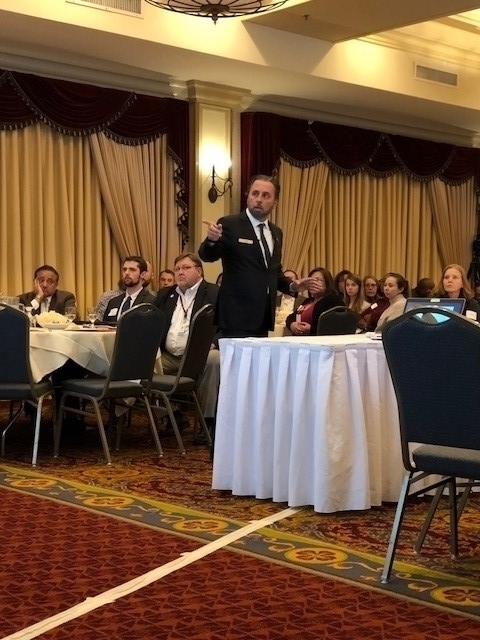 David Smith, founder of Third Horizon Strategies and expert on managed care, alternative payment models and public health was the keynote speaker at the event. Garza, Pennington, and Dr. Barron focused on the creation of value, health integration and care coordination at Aunt Martha’s, patient outcomes and financial benefits of Integrated Care and Care Coordination, and Aunt Martha’s developing Integrated Health Home model. Ultimately, well-implemented integrated care programs yield to more health care savings and more value to patients because of their emphasis on total care. Smith engaged guests by outlining how the U.S health care system is trending to be up to 25% of the U.S economy’s GDP (Gross Domestic Product), yet it results in low quality outcomes. 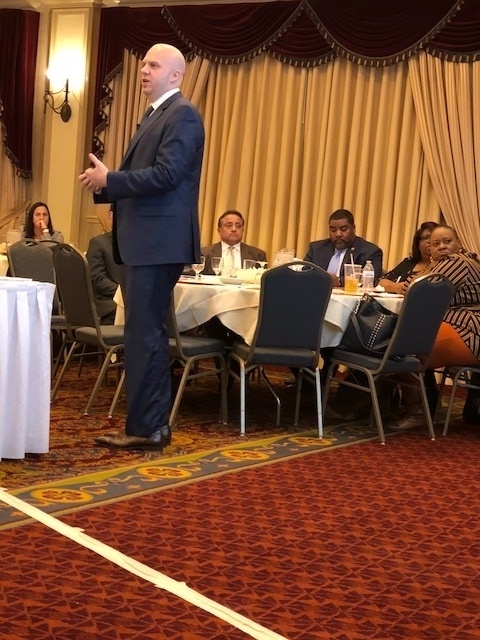 Smith indicates that a collaborative model that encompasses payers (insurance companies), managers (managed care organizations), delivery system (health services), workforce (health organizations), and the community can effectively address the high cost of care and low health outcomes. Smith’s collaborative model supports Aunt Martha’s vision to become an Integrated Health Home because of its comprehensive health services with physical, mental, and dental care along with its extended social services in foster care, substance abuse, transportation and more. With such services, the vision of Aunt Martha’s Integrated Health Home is to continue its leadership in care coordination and offer all of its services together to reduce health costs and improve health care value. David Smith is an expert in managed care, alternative payment models, and public health. He has established several coalitions focused on these efforts most notably in areas of opioid use disorder recovery. Smith is a founding member of Third Horizon Strategies, an organization that supports companies with strategic planning responsive to current and expected policy and market environmental conditions. IHH in Illinois emphasizes care coordination. This fully integrated care coordination is based on an individualized care plan (the outcomes that the individual wants from their treatment) and coordination (wrap-around of services like health, mental, and social services). IHH makes whole health possible to the most vulnerable individuals. 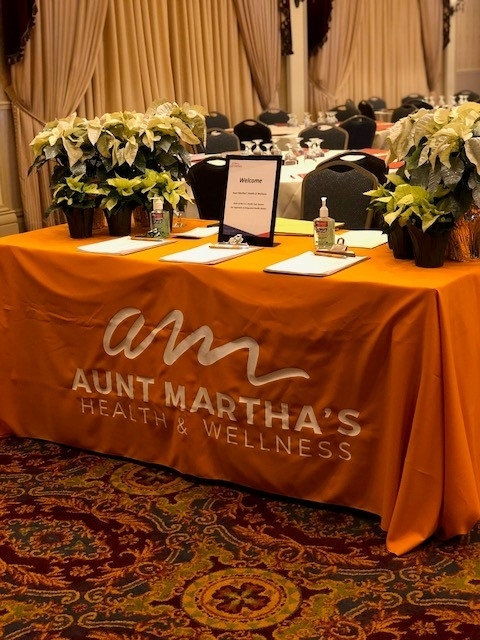 Aunt Martha’s Health & Wellness is a Federally Qualified Health center with over 24 locations throughout Illinois, since 1972. Services include physical, behavioral, and dental health care services along with foster care and community wellness programs. 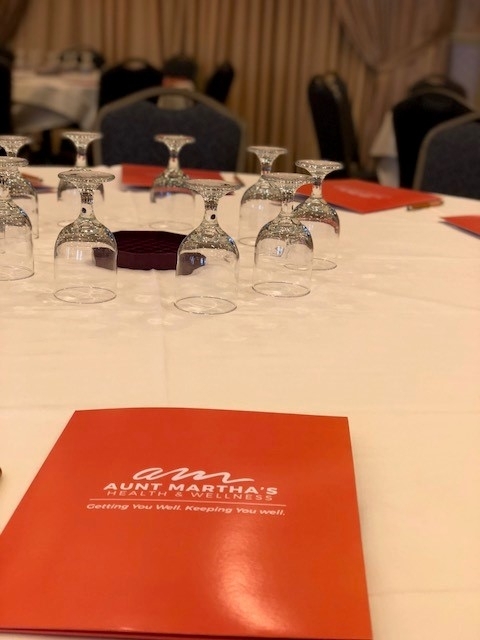 Aunt Martha’s is nationally recognized in the top quarter as a leader in care coordination and serves over 70,000 patients and clients annually. Aunt Martha’s has been continuously accredited by the Joint Commission since 1997.